Often dogs and cats come through our doors needing more TLC. Perhaps an animal needs veterinary treatment for an injury they received outside the Home. Maybe they need to spend some time with our behaviour team to receive training to help them overcome a bigger behavioural issue. 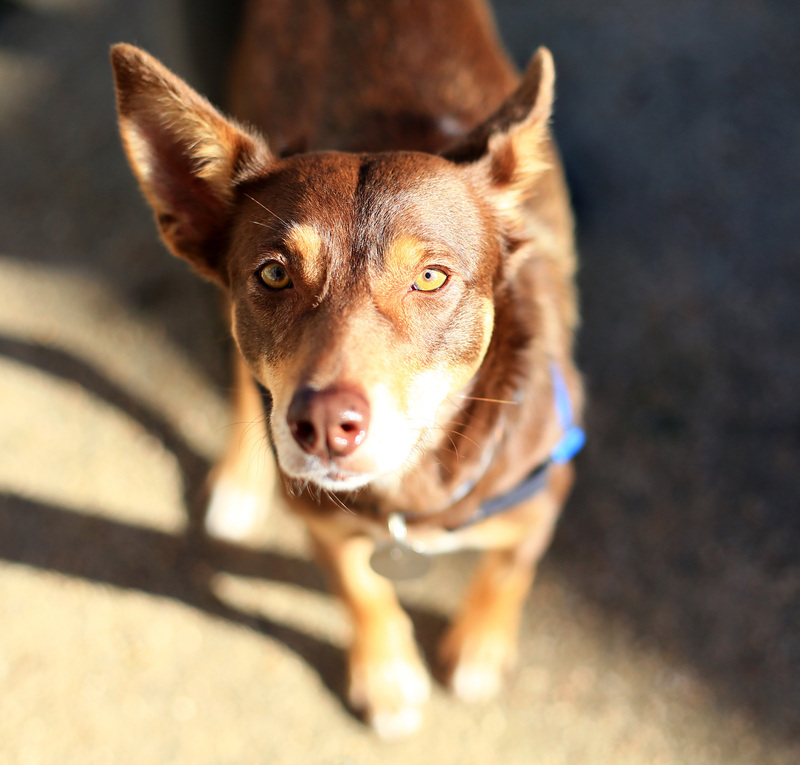 For kelpie cross Cassie (formally known as Cinnamon), her high levels of anxiety meant that she needed to spend some time in the care of the Home’s behaviour team in order to build her confidence. According to the Home’s Veterinary Behaviourist, Dr Trepheena Hunter, when Cassie first arrived at the Home, she was so unsure of new people that the behaviour team were unable to perform a behaviour assessment. “When we first tried to assess Cassie it was clear that she wanted to interact with her assessors, but she was extremely anxious,” said Trepheena. After three weeks of positive reinforcement training, Cassie had built up enough confidence to undergo a meaningful behavioural assessment. With a targeted plan to meet her needs, Cassie’s time with the behaviour team aimed to treat her anxiety disorder and build her confidence. “As a working dog breed, Cassie is naturally a very quick learner – during her time with the team she became adept at a range of agility skills, which increased her confidence. “At the end of her time with the team, Cassie had blossomed into a confident young dog with the skills to help her cope with unfamiliar situations,” said Trepheena. 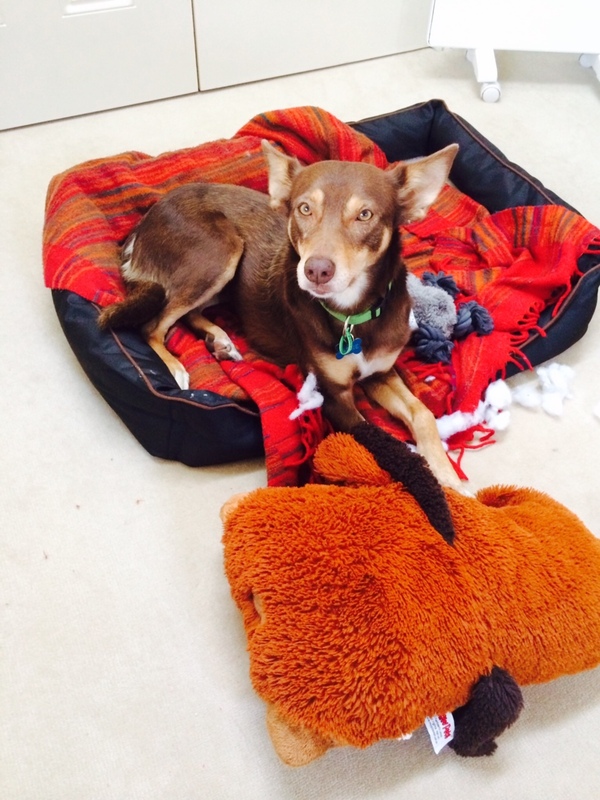 It was clear that Cassie was ready to find her ideal forever home. For new owner Meredith the moment that she saw Cassie’s image on The Lost Dogs’ Home website, she knew that she had found her perfect match. “I had been thinking of adopting a dog for a long time and after much thought I decided that now was the right time to do so. “I have owned kelpies in the past – they are such amazing, smart, loyal dogs and gentle Cassie is all of these things,” said Meredith. Fully settled into her new home, Cassie is enjoying spending time with Meredith at home and socialising with other dogs at the local park. “Cassie has adjusted really well to her new home. Some days I am able to work from home, so she gets a lot of company. “My home is near a large open parkland; every morning Cassie and I head out for our daily walks – which she just loves. Meredith’s advice for anyone thinking of adopting a dog from a shelter like The Lost Dogs’ Home is to go for it! If you are interested in adopting a dog from The Lost Dogs’ Home, you can view the dogs currently available for adoption here.